THE MERCEDES BENZ V Class brand continues to make headlines in mzansi, and it won't be lowering the gears anytime soon, unless the Germans are hard at work conceiving ideas on the next 'generational bus'. Every corner, whenever one sneezes it seems all catches the German influenza. 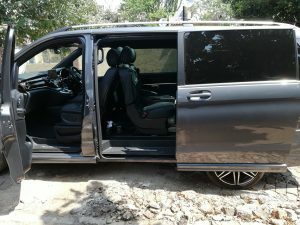 (Flint Grey) Mercedes Benz V Class 250d Avantgarde a luxury par excellence. All images SLM. Yes, the 250d V Class Avantgarde to yours truly is what Doctor “16 V” Khumalo is/was to Kaizer Chiefs. Whenever an opportunity present itself to test this sought-after ‘bus’ it always feels brand new- thanks to its comfort, safety and the class act it possesses. Available in various models, we cajoled in a Flint Grey 250d Avantgarde for a week. While unmistakably a large transporter, the V-Class hides its bus-like lines well, mostly due to the expressive front with tapered hood and (optional) LED-headlights with a modern design, that perform better than Bi-Xenon headlights. Aha. Talk of lights: it also features discreet ambience lighting for a pleasant interior. 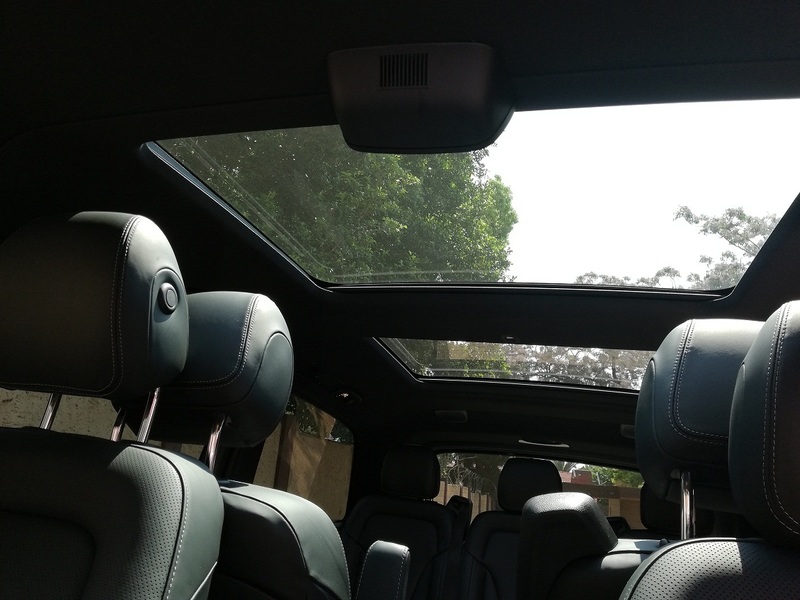 Located below dash trim, side walls and sliding doors- that is available in three-colours (Solar/Amber, neutral/white and polar/ ice blue. The Lugano leather seats add a haptic element to the atmospehere and cockpit features high-quality recessed switches within the wave-shaped dash and the free-standing media display forms a central focus to the for4ward cabin. What about the panoramic view -oh yes, it tops it all. What transpired as someone was gazing at the ‘Atlantic’ stars and the beautiful blue skies- shall remain in the V Class, finish & klaar. No questions asked. As we made our way to the North West Province for a relative burial, we enjoyed excellent air-condition system (with separate controls for the rear passengers) and the superb Burmester surround sound system courtesy of Gqom music- all the way. What about the panoramic view -oh yes, it tops it all. 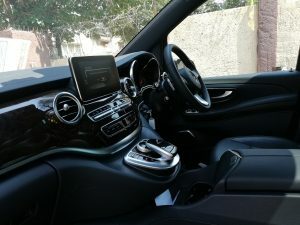 driving mode switch, overtaking was easy, while the Agility Control suspension and 19-inch tyres on attractive five-spoke rims provided for a well-dampened ride. The 7G-Tronic Plus auto transmission worked seamlessly and equipped with the BlueEfficiency package (with a generator that recharges the battery during braking, as well aerodynamic underbody cladding) V Class delivered outstanding consumption figures. The Avantgarde also comes fitted with a split-level tailgate that provided a quick-detachable parcel-shelf rated to carry up to 50kg, with two recesses, each containing a removable and collapsible shopping basket. Oh, yes, naturally two electric sliding doors give access to the interior, and the Easy-Pack rear door opens and closes with the press of a button. Call me all sort of names- it is still my all-time feature, stru. As we negotiated cows, donkey, trucks and locals who were smitten by the presence of this ‘bus’ we were guided by the Comand touchpad that lets you operate all the telematics functions by gestures or by entering characters in the same way as on a smartphone, including an internet browser, voice control and real-time traffic information. Fortunately, on that side of the world traffic is a no-no. Its ideal for business, leisure or adventure- and we did all three without any exception whatsoever. According to Benz the ‘V-Class was developed for life’s pleasures and challenges. And it shows true generosity with the variable space concept of its interior’. The Comand touchpad lets you operate all the telematics functions by gestures or by entering characters in the same way as on a smartphone, including an internet browser, voice control and real-time traffic information. An optional 16 speaker Burmester surround sound system has a microphone in the overhead console so that anything said by the driver and front passenger can be heard on the speakers by passengers in the rear. The standard aircon can be upgraded to an auto set-up with various ventilation modes to offer individual climate control, adjustable from the rear seats, while the driver and front passenger’s seats are available as an option with four-way adjustable lumber support and active ventilation. The standard layout is four individual luxury rear seats with armrests in two seat rows, but the V-Class can be ordered with bench seats in six, seven or eight-place format with quick-release rails so they can quickly be shifted around or removed, depending on the job at hand. Burmester sound system and Comand touchpad that lets you operate all the telematics functions by gestures or by entering characters in the same way as on a smartphone, including an internet browser, voice control and real-time traffic information. Another option (standard on the top-spec Avantgarde) is a split-level tailgate with a quick-detachable parcel-shelf rated to carry up to 50kg, with two recesses, each containing a removable and collapsible shopping basket. I tried very hard to identify any faults but dololo, is anyone listening to provide such? As indicated in my intro, V Class is a sign of ‘arrival’ or better yet for those with deep pockets ‘cos believe me, it does not come cheap. Mercedes-Benz Financial Services offers a competitive insurance policy designed as meticulously as the vehicles we finance, to provide a comprehensive range of benefits.